Ollie Millroy scored his best Asian Le Mans Series finish of 2014 in the 3 Hours of Shanghai today (October 11) where the Briton came home second in the GT class alongside Team AAI co-drivers Jun San Chen and Tatsuya Tanigawa. Returning to the cockpit of the #91 BMW Z4 GT3, Millroy was keen to capitalise on the promising speed he and his Team AAI counterparts had demonstrated together in Korea. And the weekend began in promising fashion after his pace gradually improved during free practice, setting the 24-year-old up for a tilt at a front row grid slot in the GT category. Despite a problem-free 30-minute qualifying period, Millroy struggled slightly over one lap compared to the Taiwanese team’s Mercedes-Benz SLS AMG GT3. 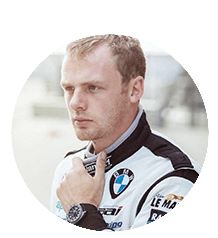 Nonetheless, the Esher resident managed to set a lap time only 0.119sec shy of long term BMW factory driver and experienced Z4 pilot, Jorg Muller. Taiwanese driver Chen opened proceedings in Saturday’s race, and the #91 Z4 GT3 remained third in class when Millroy took over on lap 28. However, his spell behind the wheel looked to be over barely before it began when a small electrical fire in the cockpit threatened to de-rail Millroy’s charge through the field just six laps into his stint. After electing to continue – while immediately setting the trio’s fastest lap – the Briton’s pace remained impressively consistent throughout his 60-minute run. But after quickly catching and passing the #90 SLS AMG GT3, Millroy was unable to reign in the leading Ferrari 458 GT3 before handing over to Tanigawa with an hour remaining. 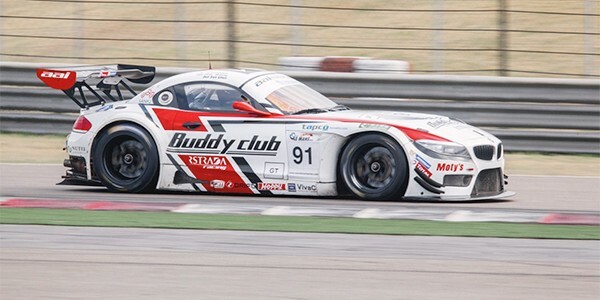 The Japanese driver eventually took the chequered flag fourth overall and second in class, leaving Millroy satisfied to not only help extend Team AAI’s championship advantage, but also with his own encouraging performance at China’s grand prix venue. “The entire weekend has gone very smoothly, especially considering our pace,” explained Millroy afterwards. “It was great to be back behind the wheel, and also working alongside experienced Pro drivers Jorg Muller and Marco Seefried. It was hugely encouraging to match them throughout qualifying, but also to learn from Jorg who has a lot of experience with the BMW Z4 GT3. “Jun San and Tatsuya did a brilliant job over the two days, as always. We knew that our race pace was perhaps better than the SLS AMG GT3, so it was great to beat them in the race, although we couldn’t catch the Ferrari unfortunately. At one point I was worried that we weren’t going to finish when I had the cockpit fire! I was constantly looking into the opposite footwell for flickers of flame and when the car began to fill with smoke it was quite distracting. All very peculiar, but thankfully it stopped. Millroy will be looking to go one better than second when the Asian Le Mans Series resumes at Thailand’s Buriram Circuit on November 22/23.